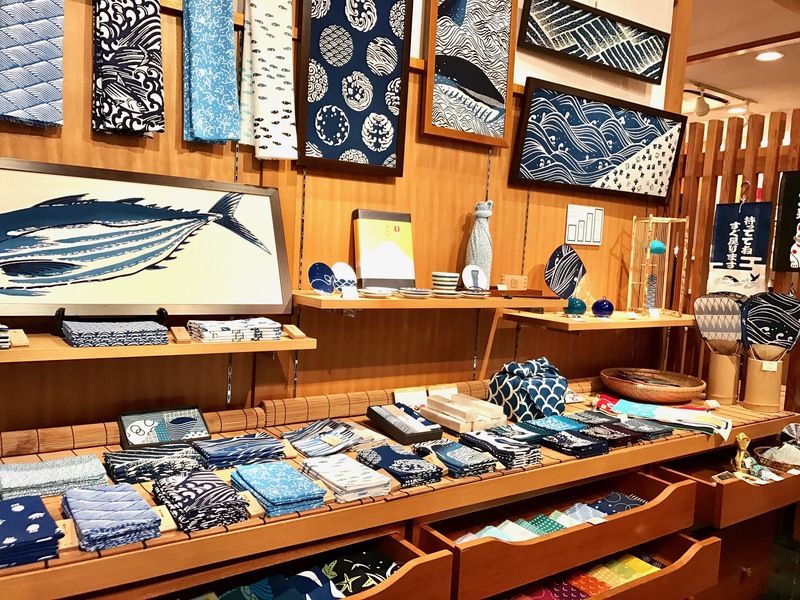 On June 23, I visited KAMAWANU, a long-established tenugui store in Daikanyama. TENUGUI, Japanese traditional handkerchief or towel, used to be a necessary item for living in Edo and Meiji period. 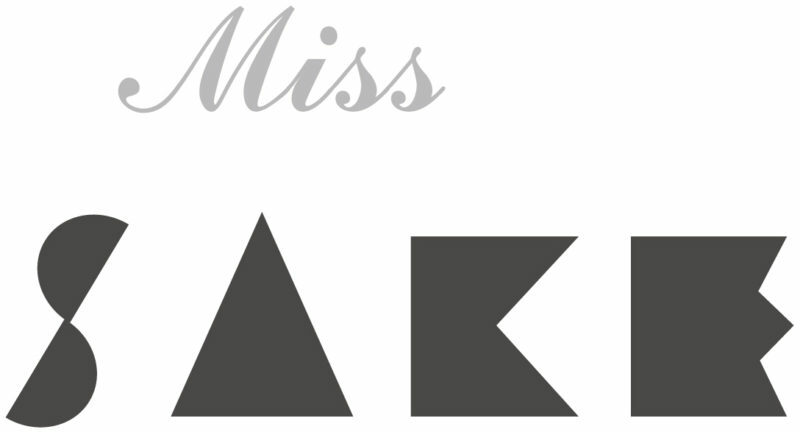 And now it’s been gaining popularity again because of its usefulness and various designs. 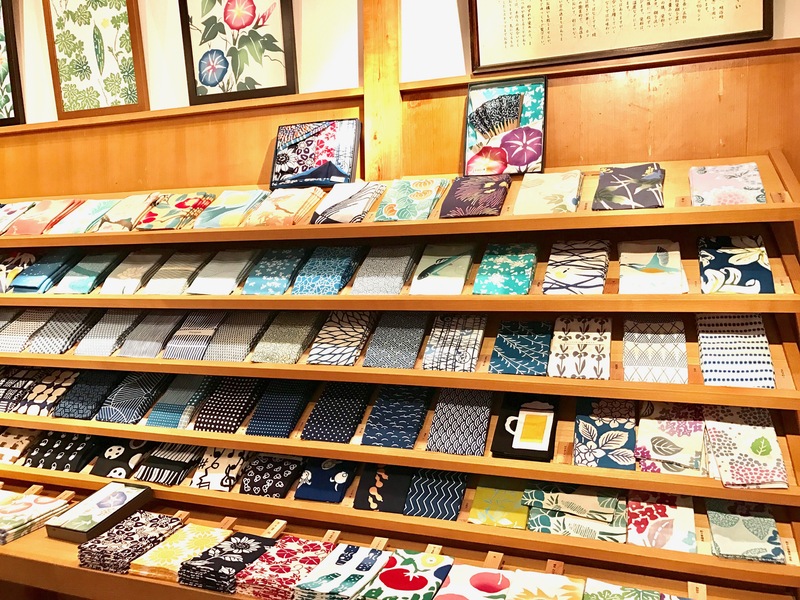 Once I stepped into the store, various kinds of TENUGUI came into the sight. 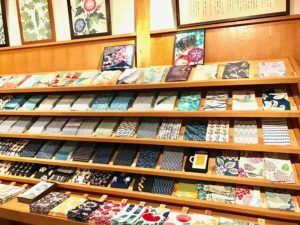 When you hear TENUGUI, you may think of something old and out-of-style, but it’s not actually true. 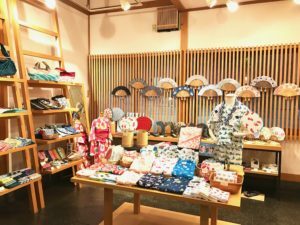 The KAMAWANU store were filled with attractive TENUGUIs; a poppy pattern ones, elegant pattern ones, seasonal ones and so on. 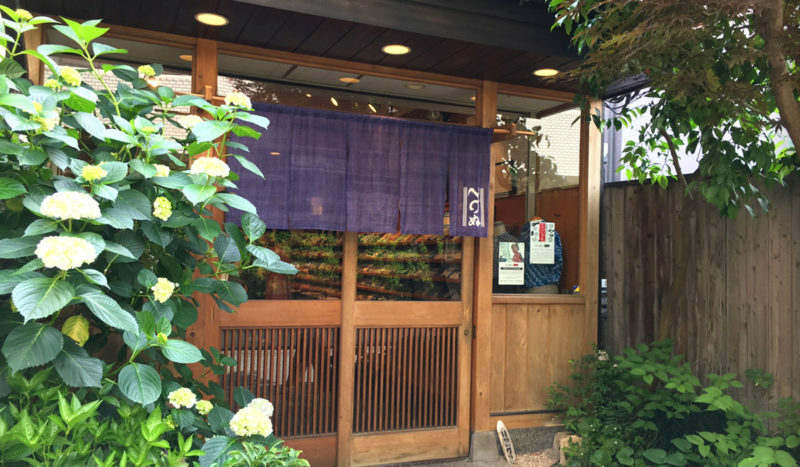 Yet, KAMAWANU’s TENUGUI doesn’t only have modern stylishness, but it’s also made in a highly traditional way. 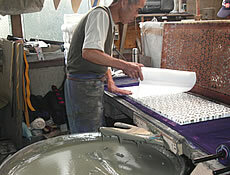 Because the TENUGUI is dyed all by hand, all products may not be shaped exactly the same and the dyes may come out uneven. But such unique texture and appearance of hand-made TENUGUI is also tasteful. 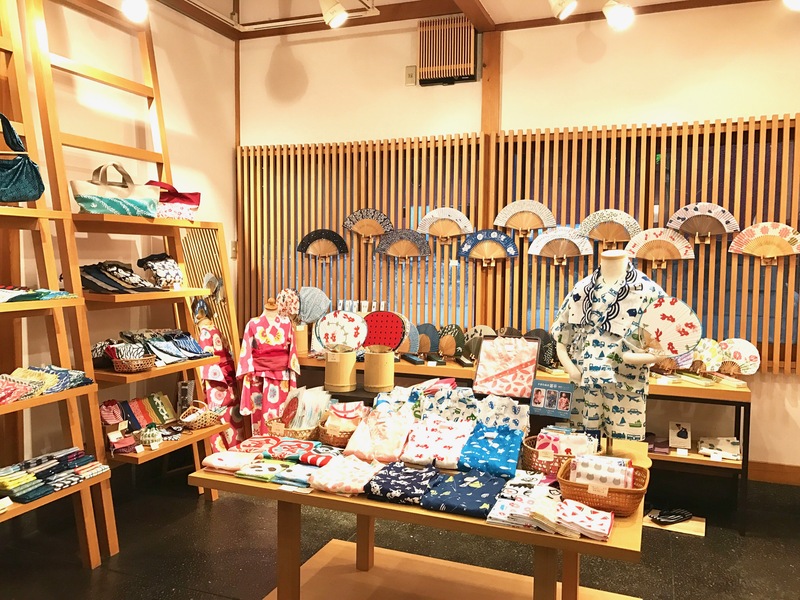 By visiting KAMAWANU store, I could realized the attractions of TENUGUI, which is the result of Japanese peoples’ wisdom for everyday life. 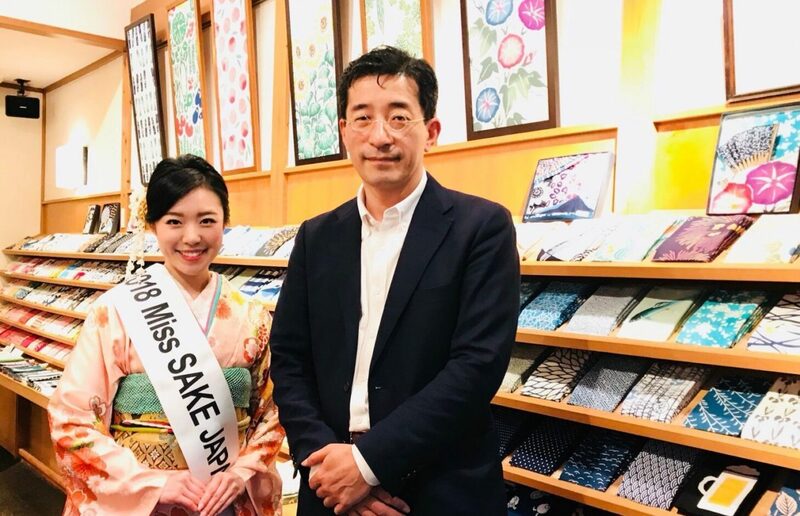 I extend my appreciation to Mr.Takahashi from the KAMAWANU store. Thank you very much for the valuable time.